BS5250 is the code of practice for condensation control, and includes the following reference in relation to design principles: Design for the control of condensation depends upon obtaining a satisfactory relationship between air conditions (internal and external air temperatures and humidity), and the properties of the external elements of construction (thermal and vapour resistance). The objectives should be as follows: prevention of harmful surface or interstitial condensation; prevention of mould growth; and economical reduction of nuisance condensation. Condensation control should be considered as part of the design process. Successful control will depend on factors such as prevailing winds, room layout, number of storeys and type of heating system as well as the more usually accepted aspects such as construction, heating, ventilation and moisture production. All these aspects, therefore, should be considered carefully and, as they are interdependent to a greater or lesser degree, they should be considered together. The fundamental principle in designing to minimise condensation is to maintain a balance of the three factors – thermal and vapour properties of the structure, heat input, and ventilation – in order to achieve either low vapour pressure and/or high structural temperature. The building fabric, typical weather conditions and anticipated occupancy patterns and uses will all interact to define the moisture risks associated with the construction. These ‘ground rules’ form the basis of a good hygrothermal design strategy. Once an understanding of the building, weather and occupancy are achieved, the designer can focus on ensuring the heat, air and moisture movement within the structure is properly balanced. This critical balance of heat, air and moisture can be influenced by many factors depending on the precise nature of the project. In refurbishment projects, there may be pre-existing condensation issues to resolve, particularly relating to convection tightness and cold bridging. The building may also have been modified or upgraded over its lifespan, and interventions such as double-glazing, blocking up chimneys and sealing draughts may have created condensation issues, which did not exist before. Modern materials may also have very different hygrothermal properties to those they replace. This might require special treatment in order to avoid problems, and necessitate sourcing unusual materials or skills. 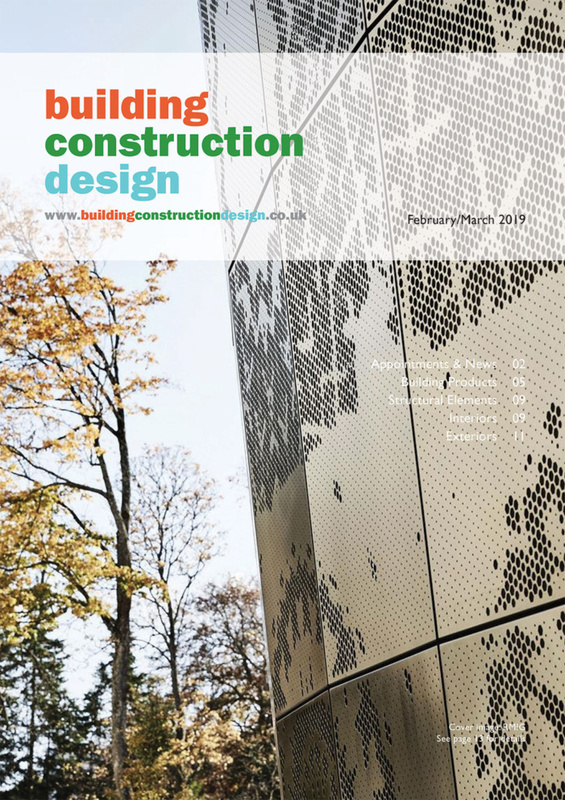 On paper, new build presents far fewer problems, however, designers should bear the practicality of installation and site conditions in mind when detailing condensation control measures. 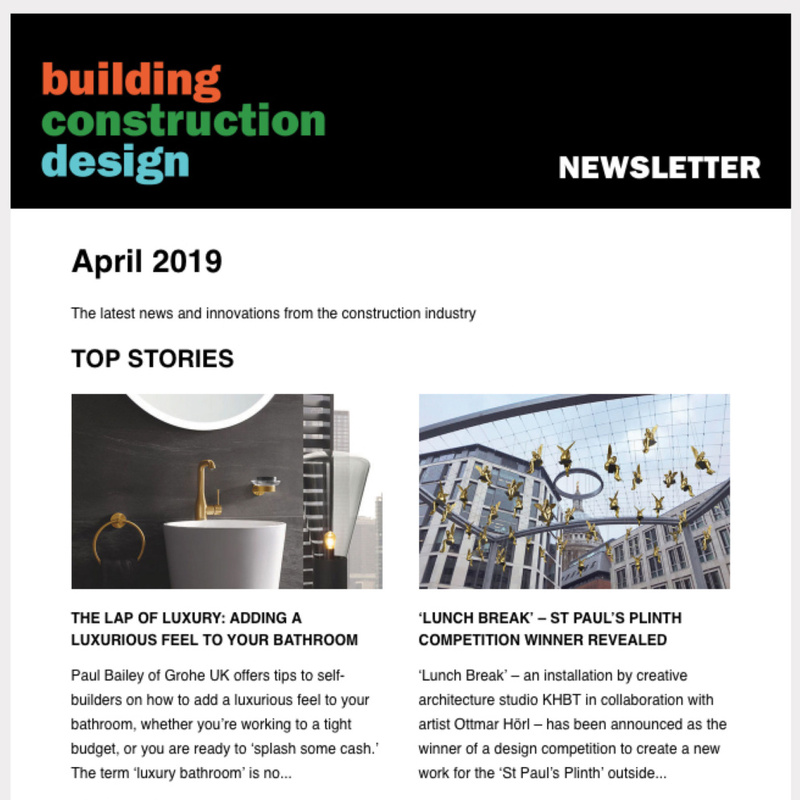 The gap between ‘as designed’ and ‘as built’, can be significantly influenced by the level of skill and expertise of the contractors, and their awareness of the importance of vapour control. It’s also important to schedule work in order to minimise damage which following trades might cause to vapour control measures. Best practice will avoid plumbing and electrical services being run through membranes, which should provide a vapour or airtight seal. Providing service voids within the sealed envelope goes a long way to preventing these problems. Finally, construction moisture must be considered, and wet trades like screeding and plastering will introduce additional moisture loading that may not have been accounted for. 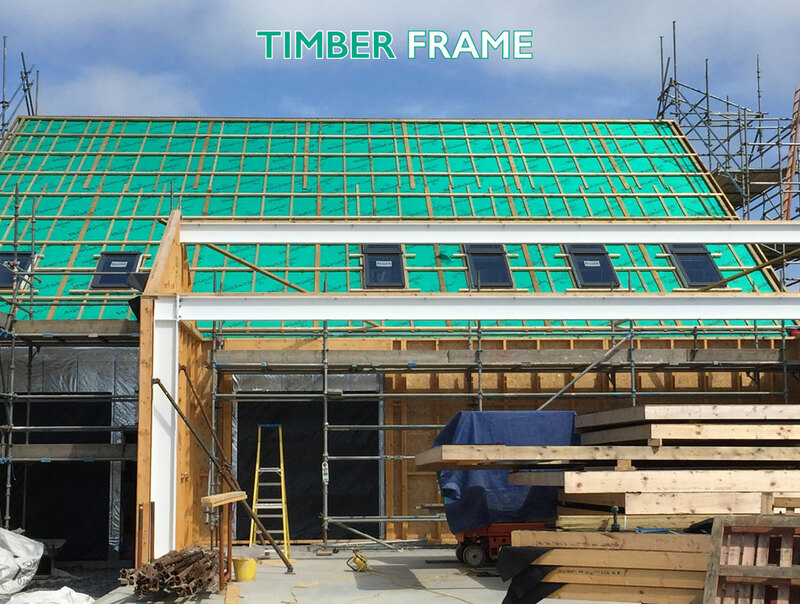 Timber frame buildings are typically built under ‘drier’ off-site conditions, which not only reduces initial moisture loads but also means a wind and watertight envelope can be achieved in less time. 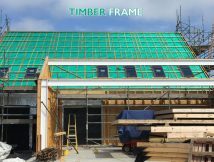 Tighter tolerances and better quality control also help reduce problems, but this might mean the building is less able to tolerate issues arising from poor installation or damage to prefabricated elements that might occur. Traditional masonry buildings will have higher moisture loading from wet trades and a less precise construction process that places greater emphasis on good workmanship on site. They do however have better fabric heat storage characteristics which can help stabilise temperature swings, and the inherently leakier and more permeable construction can reduce the risks associated with trapping moisture, provided this permeability is accounted for in the design process. The use of sarking materials, such as plywood or OSB, or traditional softwood planks, will have a big impact on the way moisture flows through a loft. 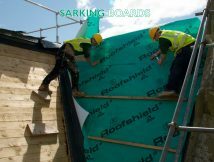 Some underlay membrane certification may impose additional requirements or restrictions. 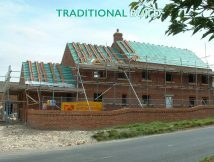 It’s not only traditional slating that will affect condensation in lofts. 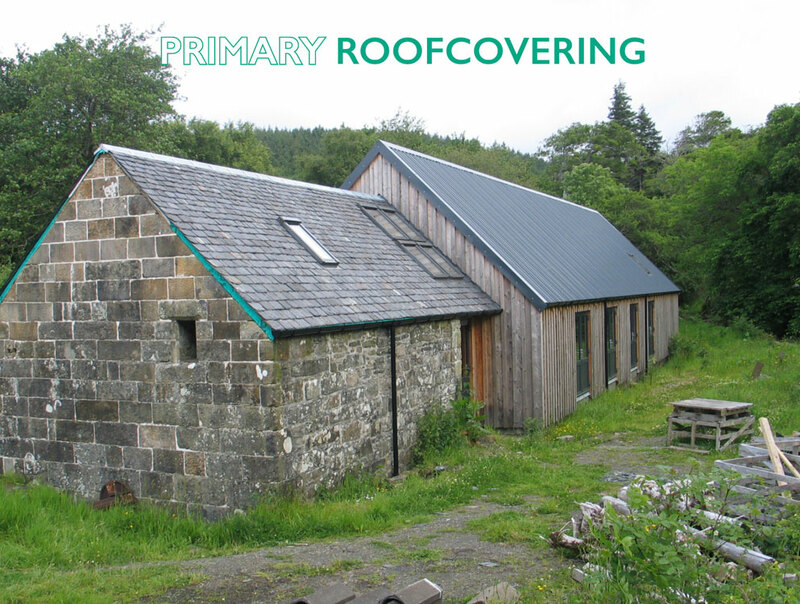 Even using a standard tiled roof, the air openness of the outer covering must be accounted for, and if the tiles are particularly airtight or if metal roof coverings are specified, additional venting of the batten cavity may be needed. 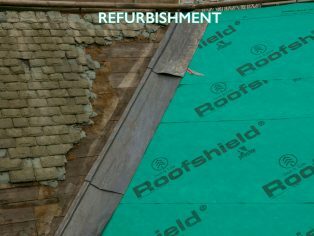 BS5250 and BS5534 – codes of practice for slating and tiling – outline when coverings can be considered ‘air open’, what measures must be taken if they are not, and what effect wind uplift will have both on the outer covering and the roof underlay. 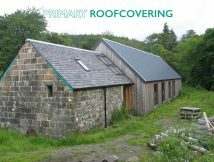 The physical layout of the roof has to be accounted for, and in particular, complicated roofs might pose problems when it comes to ensuring all areas are adequately ventilated and there are no ‘dead spots’ where moisture-laden air can accumulate. 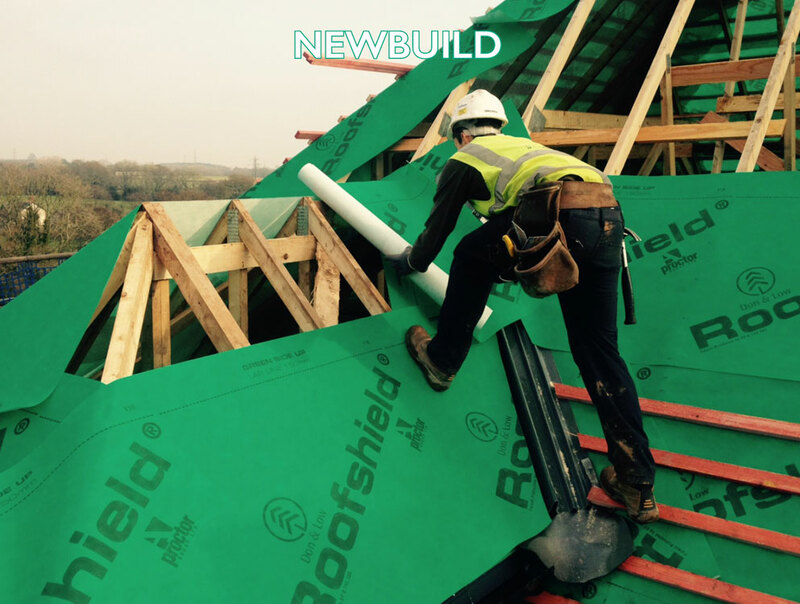 Subdivisions of roof areas for example for fire compartmentalisation can further exacerbate this issue, as can specific architectural detailing or the overall aesthetic, which may preclude adding additional ventilation. 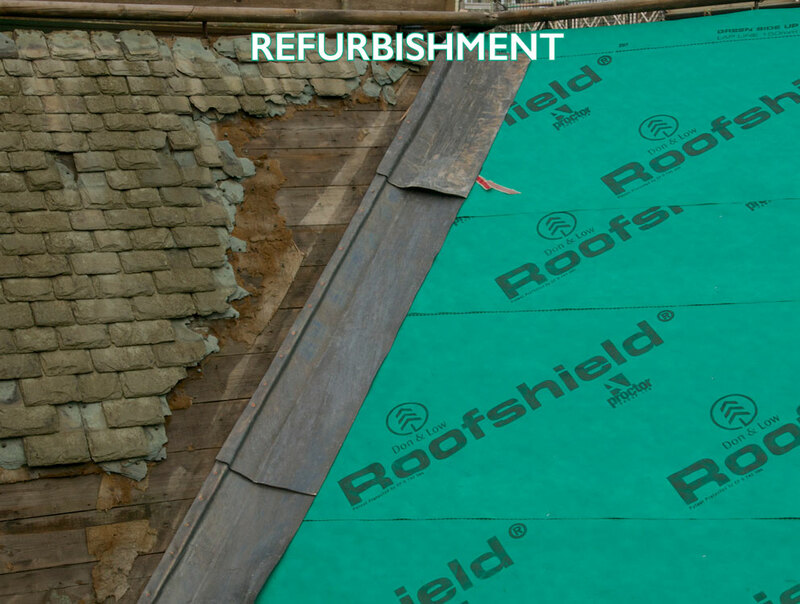 BS5250 details the requirements for ventilating roofs and controlling condensation.